DTG. It can also double as an extra layout table. Crank raises the cart to a maximum height of 35" or lower to 17". 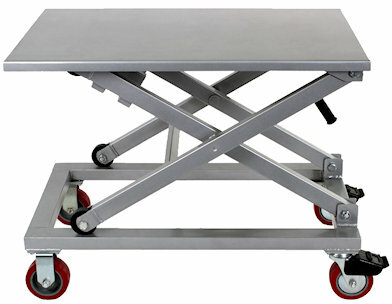 Casters allow the cart to be moved. Actual shipping weight 126 lbs. Dimensions 38.2" x 24.8" x 18.1"